Holiday resources are updated closer to each holiday. Please bookmark our calendar or events page for easy reference. Tu BiSh'vat or the "New Year of the Trees" is Jewish Arbor Day. The holiday is observed on the 15th (tu) of the Hebrew month of Sh'vat. Scholars believe that originally Tu BiSh'vat was an agricultural festival, marking the emergence of spring. Sukkot, a Hebrew word meaning "booths" or "huts," refers to the Jewish festival of giving thanks for the fall harvest. It also commemorates the 40 years of Jewish wandering in the desert after the giving of the Torah atop Mt. Sinai. Purim is celebrated with a public reading—usually in the synagogue—of the Book of Esther (Megillat Esther), which tells the story of the holiday. Under the rule of King Ahashverosh, Haman, the king's prime minister, plots to exterminate all of the Jews of Persia. 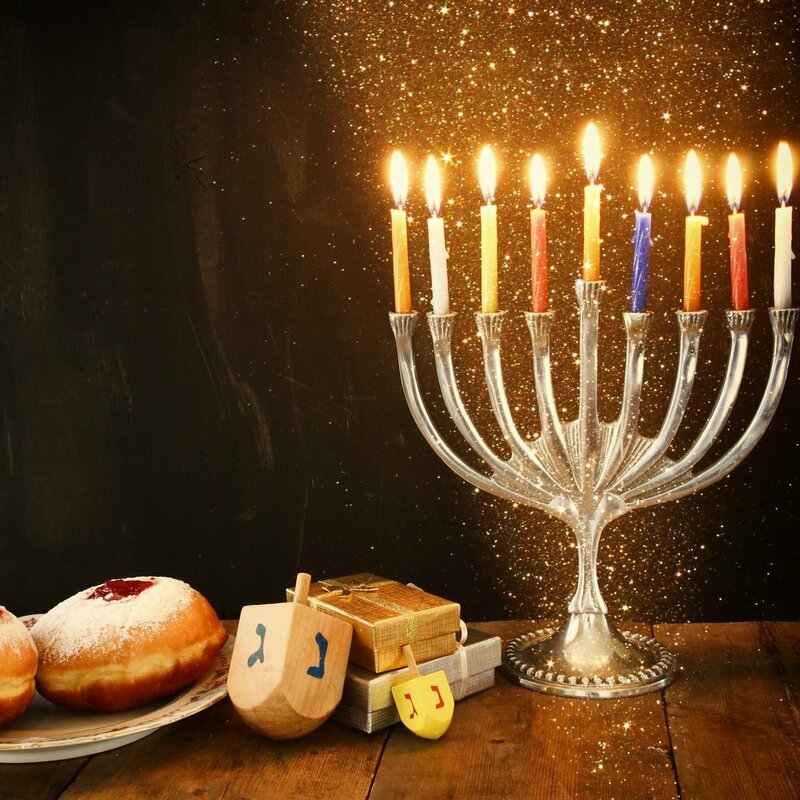 Hanukkah refers to the joyous eight-day celebration during which Jews commemorate the victory of the Maccabees over the armies of Syria in 165 B.C.E. and the subsequent liberation and "re-dedication" of the Temple in Jerusalem. Passover commemorates the Exodus from Egypt over 3,000 years ago. The ritual observance of this holiday centers around a special home service called the seder and a festive meal; the prohibition of leavened bread, and the eating of of matzah.